With this feature, our film score picks graduate from a pre-awards article to a year-end list. 2016 has been an exemplary year for film scores, as many of our favorite artists have tried their hand at the cinematic genre and passed with flying colors. Thanks to their contributions, we may be seeing a renaissance in the field. The albums below can be enjoyed with or without the visuals, fully sufficient as separate entities; in some cases, these film scores are even better than the movies they accompany. Ironically, only one of these films made a lot of money; another is not yet released. We hope that you enjoy our selection, which precedes most of the announcements of the film industry! Here are Rich’s Picks for the 10 Best Film Scores of 2016. Both sides of A Winged Victory for the Sullen are represented on this list ~ (see Lion below), together the duo will release another film score in January. Wiltzie’s score is drenched in orchestral emotion, plumbing the depths of the soul to find meaning. The score provides a perfect reflection of the subject matter, offering dignity to the salt harvesters of Bolivia as the film underlines their plight. Exquisite work from the Budapest Art Orchestra is the highlight of the set. Read our original review here. This is the score that put 2016 over the top. Upon release, we could no longer deny the fact that this was the best scoring year in recent memory. Corker’s mood-shifting music veers scarily along with the plot, and as the film grows tense, the guitars do as well. We fear snapping strings and snapping minds; Corker keeps us on the edge of our seat, at home and in the theatre. Read our original review here. One of the year’s best-reviewed movies also boasts one of the year’s best scores. Veteran Sigur Rós collaborator Alex Somers puts such a mark on this score that one would swear the film takes place in Iceland, although it actually unfolds in Washington State. Ambient tones dart in and out of houses and hide behind rocks like Ben Cash’s children. Jónsi makes a small yet significant contribution, a blessing of sorts to an already charmed endeavor. Over the past decades, we’ve become familiar with the names of film score royalty from Morricone to Williams & Zimmer. But from the music angle, we’ve been watching some of our favorite composers move toward film, and seeing these two names together is enough to give modern composition fans a thrill. In 2017, they will be collaborating together on a release for 1631 recordings, but this score is a window into their collaborative process. With dramatic strings and powerful piano, Lion is an obvious frontrunner for all manner of awards. The main instrumental theme has already inspired YouTube covers; topped off by a Sia track, the soundtrack is bound to get mainstream attention as well. Upon seeing the film, critics have been blown away, while regular viewers have been split. The hinge point is the big reveal, which we won’t spoil. But everyone agrees on the score ~ it’s as crucial to the film as the solid acting by Amy Adams. Jóhannsson creates an atmosphere of curiosity, marked by the use of onomatopoetic syllables ~ a factor which makes more sense in context than it did upon first listen. Earlier this year, the artist found time to release his own Orphée, but with so many exemplary score works in recent years, we believe he’s found his new calling. Read our original review here. For over three decades, Tom Holkenborg has remained consistent, with only one word needed to summarize his music: adrenaline. Whether new wave or metal, big beat or trance, his productions have revolved around this constant. This made him a natural choice to compose superhero movies, and a perfect match for the upcoming Red Bull film Distance Between Dreams. The film trailer alone is enough to take one’s breath away. Big wave surfing is exciting and alluring, but most of all dangerous; it’s a draw for adrenaline junkies. Even Holkenborg’s recording moniker fits. But it’s not all bombast; there’s surprising tenderness here, especially on tracks such as “The Workx” ~ such contrast is similar to that between the anticipation of paddling out and the all-too-quick rush of shooting the curl. One of this year’s most intriguing scores comes from a film released in 2015. Embers made only a small dent upon release, but is beginning to get a bit more attention. Kindling is a slow-burning fire. A great variety of sound is incorporated, from field recordings to low drones. While the middle tracks deserve longer renditions, the full-length pieces are the draw. And who would have thought that a song called “Peeling Paint” would be such an attraction? Jackie proves that Under the Skin, one of our favorite film scores of all time, was no fluke. The surprise is that Levi is able to translate her disconcerting style to a film such as this. Don’t expect this album to be laden with cheerful, ballroom sounds; the score is a reflection of the First Lady’s tumultuous mind following the death of her husband. The film is already spurring award talk, and we’re confident that the score ~ a true outlier ~ will bring Levi into the main room. In 2014, Mondkopf impressed us with the dramatic Hadès, but we had no idea that the composer could be this subtle. While the music surges forward in key spots, it also possesses the tension necessary to accompany a film about a chain of suicides in South Wales. The film was originally released in 2015, but the score finally saw the light of day ~ metaphor intended ~ earlier this year. It’s easy to score a suspense thriller, but it’s hard to score a suspense thriller well. Walker holds back until key moments, where he lets it all loose. 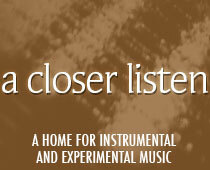 The album is a great example of a composer leaving his comfort zone and finding new life. It may be Scott Walker’s most accessible, but that doesn’t make it mainstream; the work is challenging on all the best levels. In his own way, the protagonist is as scary as Halloween‘s Michael; John Carpenter would be proud. Read our original review here.